Middle Park FC is delighted to announce that we’ve just concluded a partnership between the junior program and the best fish & burger bar in Melbourne, Hunky Dory! Joining as a major sponsor, Hunky Dory will be sponsoring the shirts of all 13 junior teams, as well as supporting the club through catering, evenings out and as a key partner in the development of football in the area. Healthy & delicious fish and salads make a perfect after match meal. Hunky Dory are super excited to be sponsors of the Middle Park FC. We love helping out our local community, especially Juniors. We hope the club has an amazing season and that there’s lots of wins and more importantly lots of great times enjoyed by everyone! All members of the club will also be delighted to know that Hunky Dory will be providing special discount cards for all players and parents.  We’re looking forward to a great relationship between Middle Park and Hunky Dory that will hopefully last many years – and we hope you will join us in welcoming them to the club.